Whitetails Unlimited made a recent contribution to the Access Ability Wisconsin, bringing the total contributed by WTU to $17,500. Access Ability Wisconsin is non-profit organization dedicated to facilitating and providing the means for individuals with mobility challenges to access and enjoy Wisconsin’s natural resources. One of the ways they do this is by loaning, at no charge, all terrain wheelchairs to outdoor enthusiasts who are physically challenged. Access Ability Wisconsin currently has eight chairs available for use in various counties around the state. Each chair is accompanied by an enclosed trailer for easy transport by the user. The goal of AAW is to have a chair and trailer available for use in each of Wisconsin’s 72 counties. 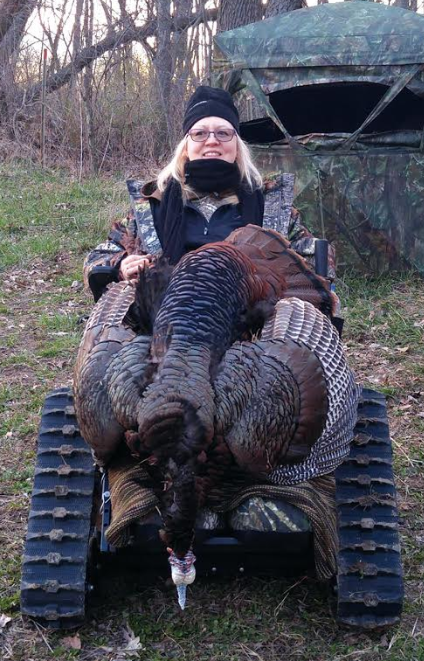 “We love supporting organizations that help people overcome hurdles they may face trying to enjoy the outdoors,” says Whitetails Unlimited Program Services Director Russ Austad. For more information about Access Ability Wisconsin please visit their website at www.accessabilitywi.org.